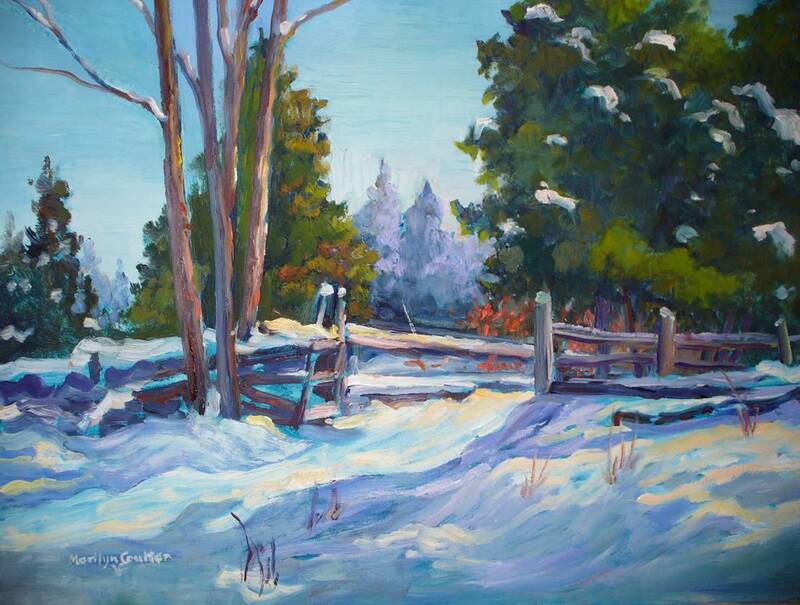 Marilyn Coulter has a remarkable ability to capture the beauty of nature with her brush and her paints. She established herself as a prominent name on the Quinte art scene after moving to the Stirling area in 1997. 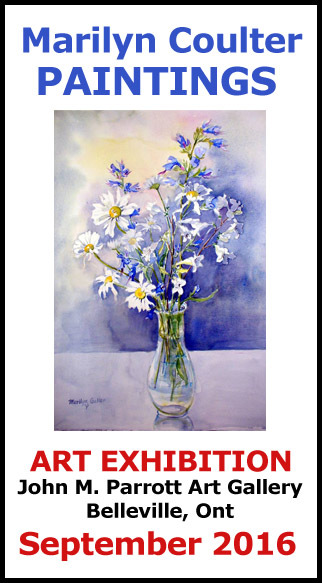 In September 2016, she will be having an art show called “Bygone Years- a Retrospective of Paintings by Marilyn Coulter” at the John M. Parrott Gallery in Belleville, Ontario. 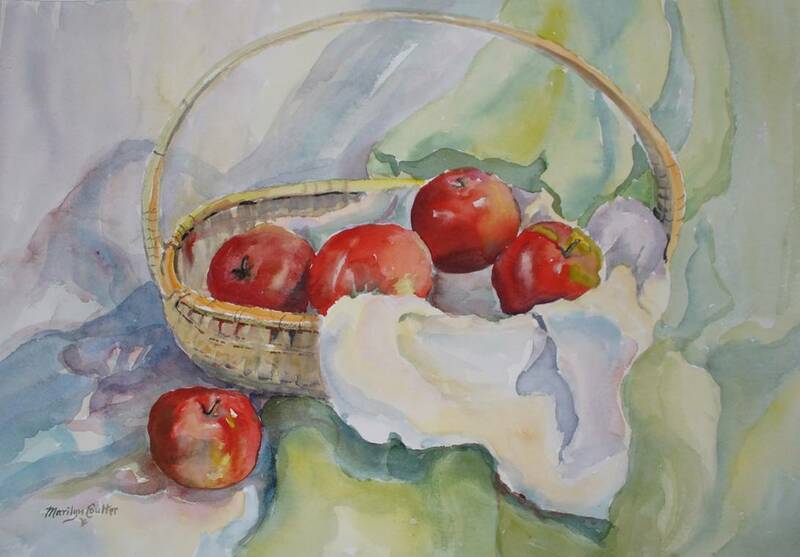 There one will be able to see that her watercolours and oils are executed in a realistic, warm and natural style, with the use of strong colours and sure technique. Marilyn lived most of her life in Toronto, where she first began to paint in High Park and along the banks of the Humber River. She painted her first oil painting at the age of ten and her first watercolour at the age of eleven. She studied at various art schools in Ontario as well as at the Instituto de Allende in Mexico. 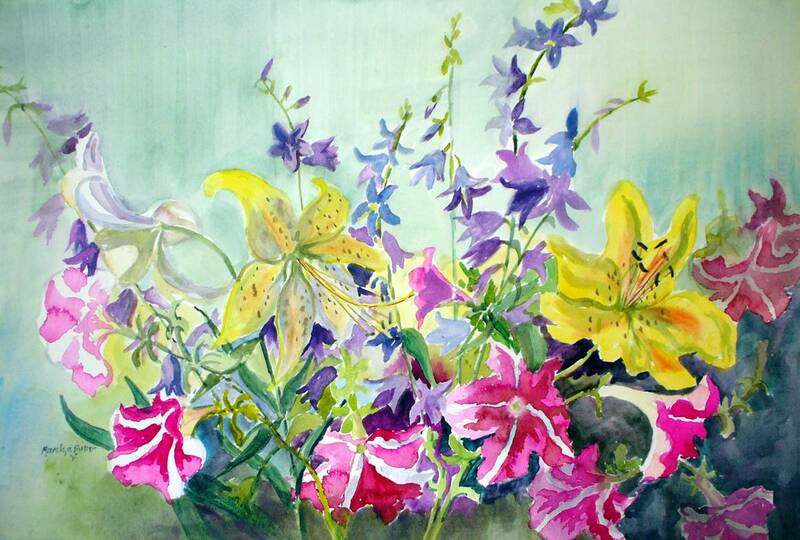 Her work has been widely shown and she has received numerous awards, including 2nd prize at the Canadian Open Show in 1971, Best Floral in 1992, three Juror awards in juried shows of the Humber Valley Art Club and the Belleville Art Association since moving to the Stirling area. Apart from exhibiting in galleriesand having exhibitions, Marilyn has also designed and painted sets for the Ontario Ballet Theatre and for a number of years taught art classes through Loyalist College. She still continues to enjoy her passion for art. When painting, I strive to capture the bright, clean colours of nature and the mood of the day, hoping to entice the viewer to step into my work-to feel the warm sun or the cool breeze and the joy of being alive. For me, the urge to paint is all consuming. To succeed in capturing my feelings as I view the world around me is humbling but extremely gratifying.